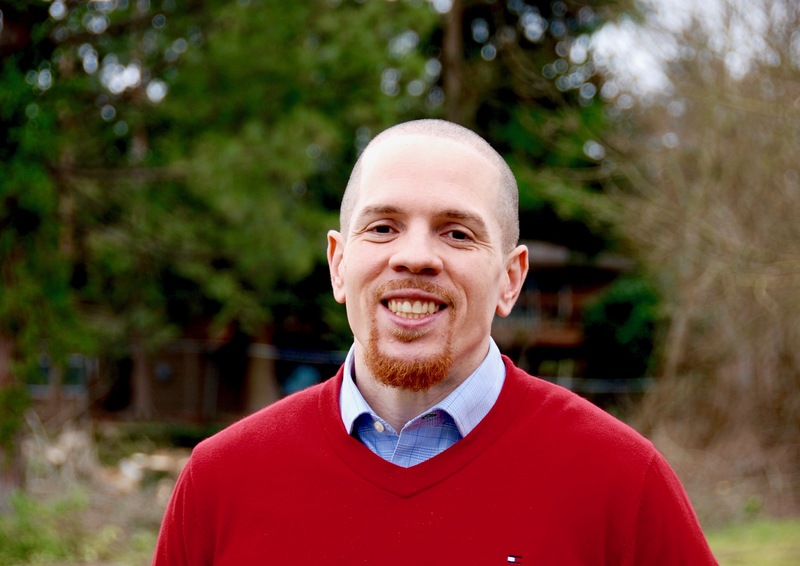 Sean Goode is Executive Director of Choose 180, a program that diverts youth away from the juvenile justice system and toward supportive mentorship. If you wanted to create a profile for the type of kid who would end up involved in drugs, in gangs, in the juvenile justice system, Sean Goode says the description would match his childhood. Both of Sean’s parents struggled with mental health diseases: His father with schizophrenia; his mother with a personality disorder. His drug-and-alcohol-dependent father was also highly abusive. Sean’s sister ran away from home. His brother was sent to juvenile prison as an early teenager for murder. Despite all the factors that might also have landed Sean in the juvenile justice system, Sean’s life took a different turn. “I know of a couple of things that spared me from having to go down that path,” Sean says. He talks of those who supported him through some perilous and pivotal points in his life. There was a counselor who helped him learn how to manage his anger as a child. And there was Sean’s older brother, released from prison, who was another “outreach worker” to him. His brother repeatedly steered him away from bad company. “He wasn’t entirely healthy for me by any means,” Sean says, with a rueful smile. Now, as the new executive director of the Choose 180 Program, Sean wants to pay it forward by building supportive and healthy communities around youth. The Choose 180 Program was started with initial funding from the King County Prosecuting Attorney’s office in an effort to reduce the flow of youth into the juvenile justice system. When a first or second time juvenile offender commits a low-level misdemeanor, King County prosecutors have the option to send them to a 180 workshop in lieu of filing charges against them. The workshops focus on helping youth turn their lives around. In the workshops, Sean uses the analogy of streets and potholes to talk about life’s paths and asks participants to describe the ruts they are stuck in. What are some things that routinely hold them back? Can they imagine a different road that their lives could take, and — if they can — what choices do they need to make to get there? Ask Sean to share a success story about someone he’s worked with, and he’ll answer with a caveat. “Here’s the thing about that question: As adults, we define success differently than a young person does,” Sean says. “I could talk to you about people I’ve worked with who have made great choices: They’ve gone on to college and not reoffended again, and you’d say that is successful. It makes for a good narrative to talk about one kid who is very successful. Interested in volunteering with Choose 180? Let the Choose 180 team know if you want to volunteer for them here. Choose 180 is a diversion program for youth that includes a half day workshop that engages young people in difficult situations and empowers them to commit to positive change in their life. The workshop creates the space for participants to hear from people with shared backgrounds and experiences and participate in small group activities that encourage them to identify the behaviors that have lead them to their current circumstances, what has kept them from making positive change, and the path to Choose 180. Youth are referred to the program through the King County Prosecuting Attorney’s office and choose to attend as part of a pre-filing diversion program. Upon successful completion of the workshop the participants have not only committed to their 180 but also avoid having a criminal record because of the alleged offense that lead to their referral to Youth 180. Do you believe that everyone deserves a second chance? Do you believe youth and young adults can change with the right support? Do you have a story, a smile, or a passion for people?